Great location and facilities. 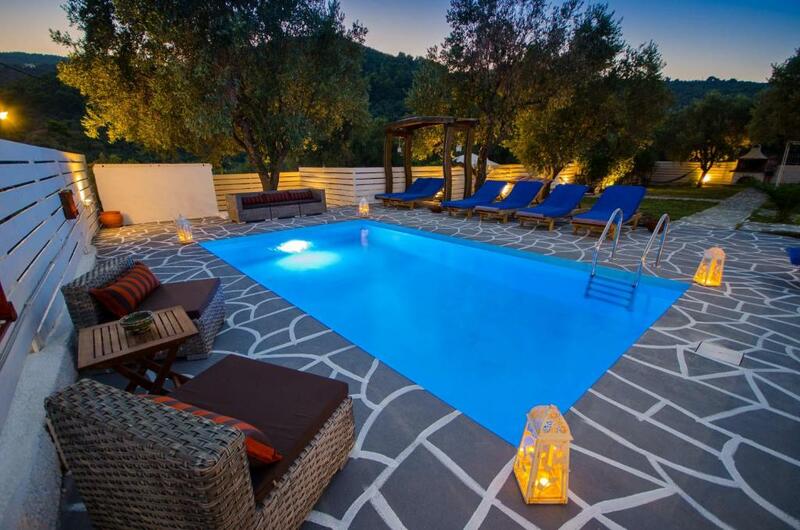 The pool area was lovely to spend the day and was only a short walk into Skiathos town. Would definitely recommend! Property looks event better than in pictures. We enjoyed staying at Villa Karababa! The pool, rooms, fireplace, the view, privacy. Rania met us at the airport and arranged transfer to and from the airport and had thought of everything we could possibly need for our stay. She cleaned every day and I can’t fault anything about the property. Close enough to the town but still quiet . I had a broken leg and the property was still easy to move around in. Thanks Rania! The host was very helpful advising us on the local area and collecting and dropping us off at the airport for free. She also visited regularly to see if we were OK and organized laundry again FOC for us. 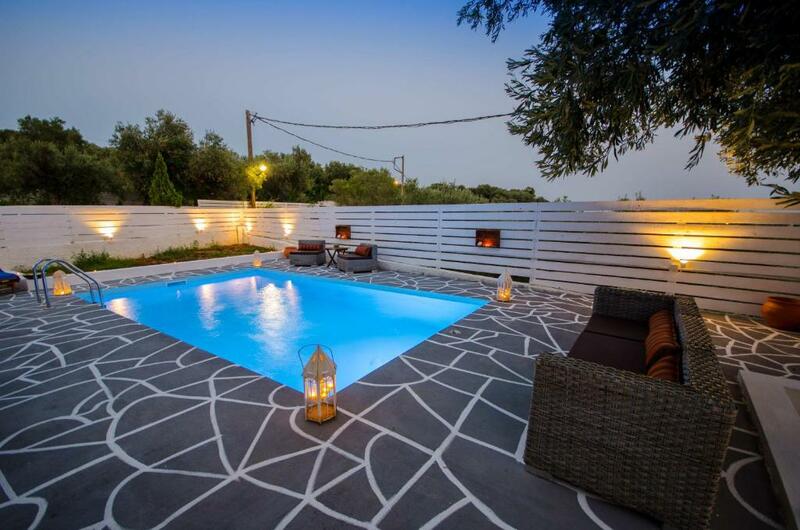 Jättefint poolområde och stort hus! Rania var mycket hjälpsam och såg till att vi hade det vi behövde. 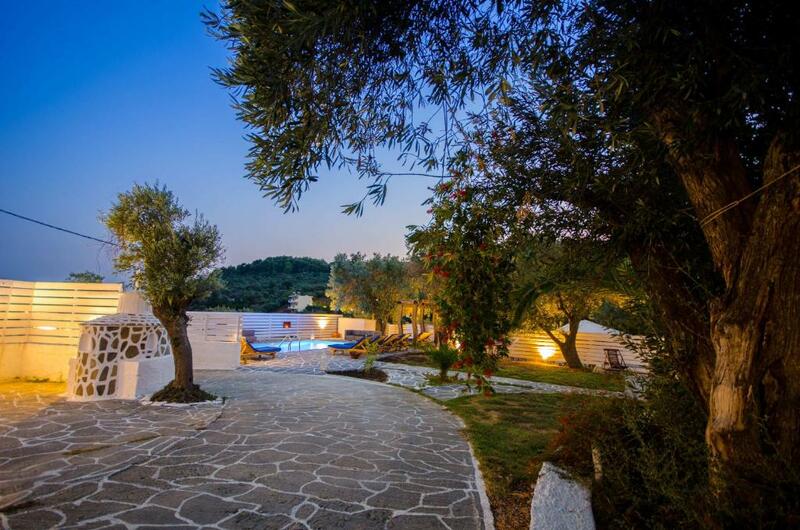 Lock in a great price for Villa Karababa – rated 9.1 by recent guests! 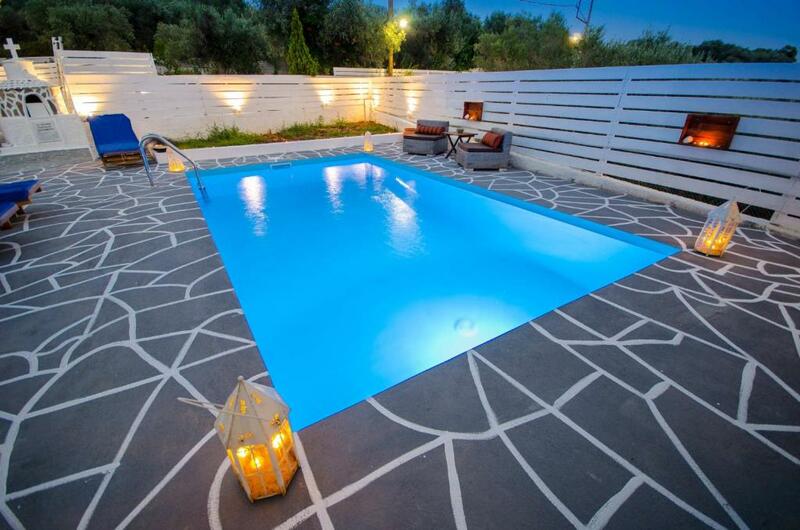 One of our best sellers in Skiathos! 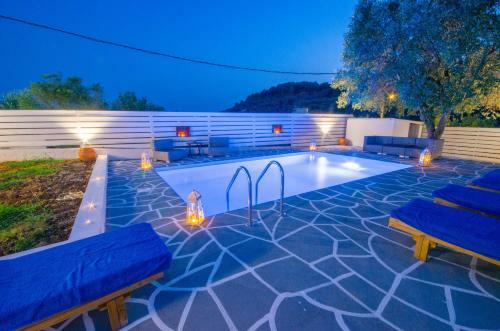 Located in Skiathos Town, this detached villa features a terrace and a garden with an outdoor pool and hot tub. It provides free private parking. Free WiFi is featured throughout the property. The kitchen has a dishwasher and there is a private bathroom. Towels and bed linen are available at Villa Karababa. Other facilities at Villa Karababa include a barbecue. 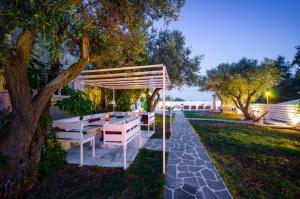 Lalaria Beach is 2.4 mi from Villa Karababa, while Skiathos' Port is 0.7 mi from the property. 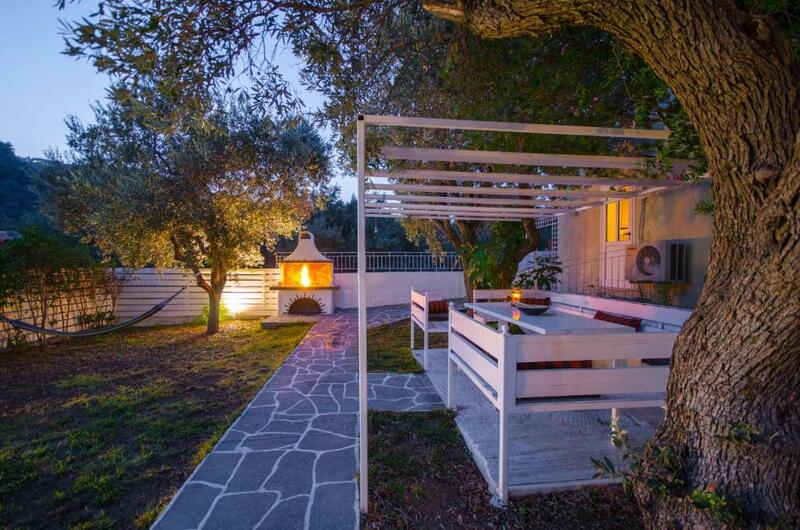 The nearest airport is Skiathos Airport, 0.6 mi from the property. 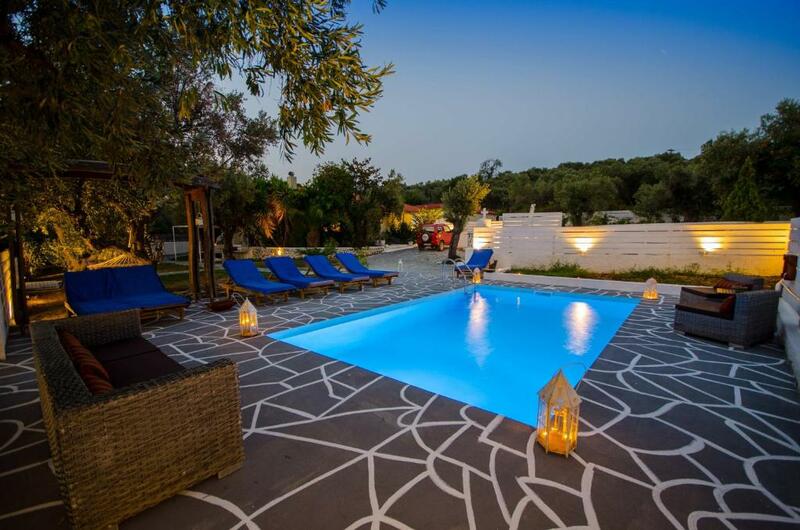 When would you like to stay at Villa Karababa? This villa features a dishwasher, hot tub and kitchenware. To villa Karababa απέχει 1km από το λιμάνι της Σκιάθου και 2km από το αεροδρόμιο.Έχει θέα στην καταπράσινη εξοχή, στην πόλη της Σκιάθου και στη θάλασσα. Προσφέρει πισίνα με υδρομασάζ και εγκαταστάσεις μπάρμπεκιου. Διαθέτει κήπο με γκαζόν, καθιστικό κήπου και ιδιωτικό πάρκινγκ. 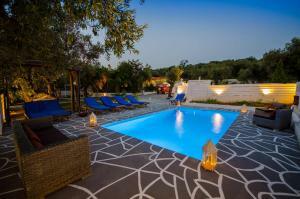 House Rules Villa Karababa takes special requests – add in the next step! Villa Karababa accepts these cards and reserves the right to temporarily hold an amount prior to arrival. Please inform Villa Karababa of your expected arrival time in advance. You can use the Special Requests box when booking, or contact the property directly using the contact details in your confirmation. Was described on booking.com as having hot tub which it didn't Pool clean but so much chlorine bikinis turned green! Pool was green and we did not hear the pool motor running at all during our stay and did not feel safe to swim in the pool. Half way though our stay we lost power and also had no water for a few hours. We lost Wifi access, owner could not get it back online. We run our own business in Australia so not having internet access made life difficult. Property smelt musky on arrival so had to buy candles and air fresheners. No hot water in the mornings. Main bathroom half way through our stay smelt of sewerage, owner came and unblocked the drain of build up of scum and hair. Definitely not worth 845 euro for the 3 nights we booked. Very disappointing stay on such a beautiful island.